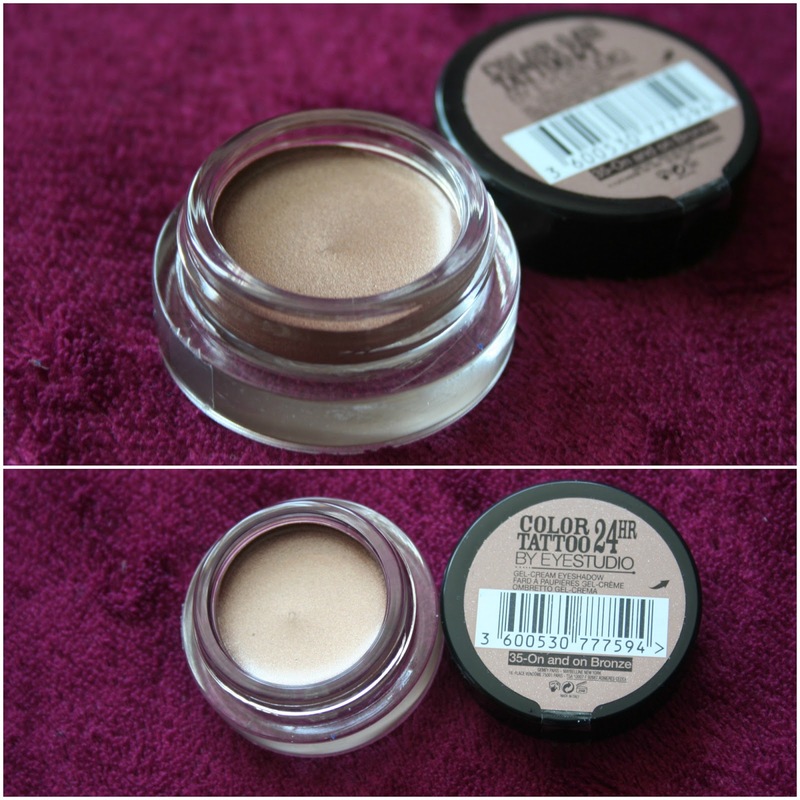 Yesterday I mentioned how I finally bought one of the well-talked about cream eyeshadows, Maybelline's 24 hour color tattoo in 'on and on bronze'. I guess it was just one of those products that's been on my mental-to buy list for what seems like forever, so when the day of purchase finally came it was a big deal. I'm going to try and not ramble on this too much as I do that all the time and I think it's a definite weakness of mine. The cream eyeshadow works perfectly as a primer, and is brilliant for layering under neutral/brown/bronze eyeshadows to add depth and extend its longevity. However, on plain lazy days when you really cannot be bothered to apply lots of make up, it works fine individually. I've only shown it without added eyeshadow over it in the above photos and I think it looks pretty good! It's common knowledge that bronzey brown tones work well to accentuate blue eyes so I took that in mind when buying it. 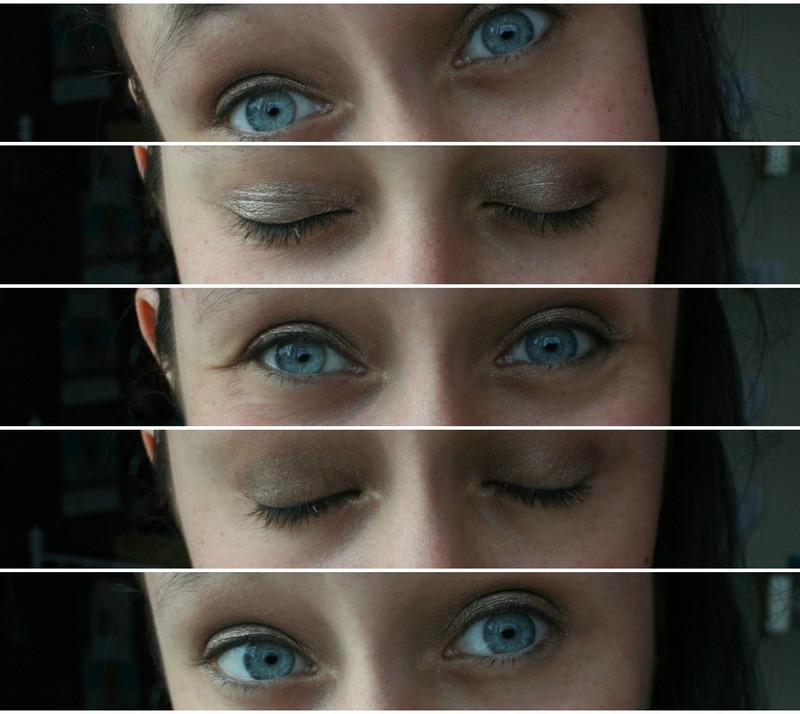 Saying that, I think it is a very universal colour and would pretty much go with any eye colour! If you've got darker eyes you may find it easier to pull of darker and smokier shades such as permanent taupe and immortal charcoal. At £4.99 this is a pretty fab steal, especially if you're a bargain hunter like myself and nab it when it's part of Boots' current 3 for 2 deal on Maybelline cosmetics. Go go go and grab one, you know you want to. Have you ever tried out a color tattoo from Maybelline before? What are your thoughts? Great post:) I also have the on and on bronze shade but might try out the permanent taupe, I've heard great things about it!